The Frieze Artist Award-winner Kapwani Kiwanga Bertille Chérot; courtesy of the artist and galerie Jérôme Poggi, Paris. 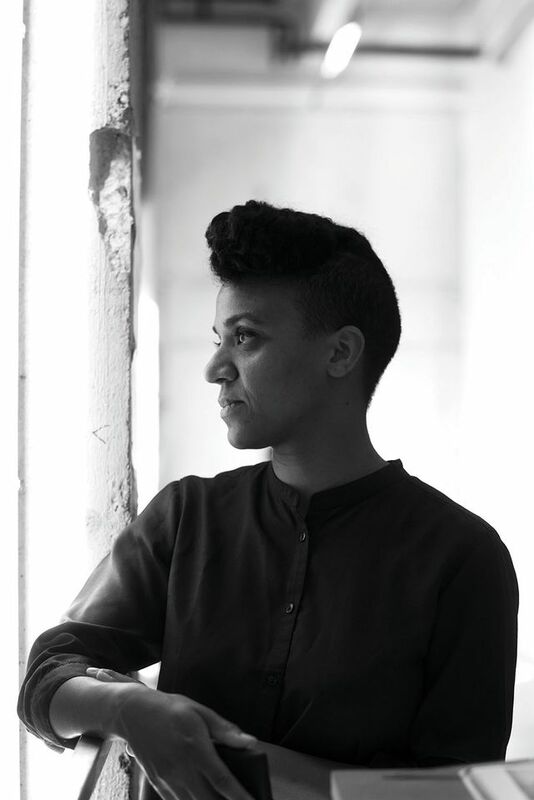 Visitors venturing to Frieze New York this week will see a site-specific installation by the emerging, Canada-born artist Kapwani Kiwanga, the winner of the Frieze Artist Award, which launches this year in New York. Kiwanga’s open-air piece, entitled Shady, is an imposing structure made of shade cloth, a material used in large-scale farming in Africa. The installation sparks debate about issues ranging from the colonial appropriation of land to freedom of movement. The project has been organised by Adrienne Edwards, the Whitney Museum of American Art’s new curator of performance, and was funded by the award’s sponsor the Luma Foundation, which gave $30,000 towards the production and development of the work. The Art Newspaper: Is Shady centred solely on colonialism? Kapwani Kiwanga: We’re living in a system that is fed by that way of seeing the world. To be more precise, [Shady] is about the intersection of colonialism and nature via the land. I recently started to work with the [installation] material, the shade cloth, which is used in agriculture to create shade. It is often used for mono crops in areas where certain plants could not survive without this very simple technology, creating a microcosm that doesn’t exist. I see a parallel between this very simple contemporary technology and the thinking behind Wardian cases [19th-century containers]—hermetic terrariums, if you like—which allowed plants to be transported worldwide. What will Shady look like? It will be a wall-like structure. I’m interested in the political and social relevance of the materials that I work with. This particular shade cloth at once evokes this idea of a barrier, as well as a porosity that invites people to think about possible transgression. It has a fragility but also this exclusionary aspect. The [research] process involved driving to different agricultural regions, from Canada to South Africa. Is the fair setting the right context for such a piece? I hope there’s a couple of people [who appreciate it]. You can be yourself, but what another person sees is always different. And I’m always surprised by what comes back to you afterwards. My hope is that the work, and its layers, can be read in different ways. It depends on the attentiveness and intentionality of the person who’s looking. I hope there’ll be an afterlife for Shady, I sincerely hope that it will live on in another space. You studied anthropology and comparative religion at McGill University in Montreal. How does this feed into your practice? I think I’ve realised how much it has imprinted on what I work on, maybe not always the content but sometimes the form. I was thinking recently about how the different approaches to textual writing in anthropology has informed more and more of my installations. When I was interested in anthropology and comparative religion, I was not just looking at societies and cultures structure themselves but also looking at diverse cultural vocalisations or expressions, particularly outside of the Western canon. It was often about looking at what could be called the margins, or off-centre. In a softer way, this has influenced how I work now. Why become an artist rather than an academic? Whether art is the widest platform is debatable. But I wanted something a little more accessible, and to access maybe different intelligences. Being able to walk in [to a work] and have a sensorial experience could perhaps open a door to something else, so that can be space or sound or the rhythm of navigating an installation. There are different doors and they all lead to the same place, but you might decide to open one door as opposed to another. Some people can walk past, of course, and not care, and that’s fine. Academia felt like having more specific and less accessible keys to open those doors. Is the research the most enjoyable part of the process for you? That’s the joy, the joy of sharing and transmitting. I enjoy it for sure. I access archives and images—I’ll look through news reels and newspaper articles—until I find the image that corresponds to a particular moment when independence is either celebrated, or there’s a moment that is key in leading to independence. And the [research] images must have flowers in them, of course. You are also making your presence felt at the Glasgow International festival with a show at the Tramway (until 17 June). What is the exhibition about? The European tectonic plates are sliding underneath Africa, they’re folding over around Turkey. The idea is that the European plates are being subsumed by Africa. The show is called Soft Measures and again, there is this idea of pushing against facts. I’m looking at the different ways of talking about tectonic theories. It deals with the idea of flux again, and the creation of a Pangea proxima [supercontinent] in the distant future. In previous works, I have looked at engineering projects linking continents; this tectonic plate research is an extension [of that]—my projects often have different chapters. You have been based in Paris for more than a decade. I moved in 2005 for a research programme lasting two years at l’Ecole Nationale Supérieure des Beaux-Arts de Paris. The city is very rich in terms of access to culture and an appreciation of culture, and it allows me to figure out my art and to fumble through my artistic language. Europe is going through a tumultuous time, though. The public discussion and debates around Brexit are an interesting place to be. To me, it feels like a long-standing worry around access to essential rights that’s become progressively more difficult for the general population [in the UK] and elsewhere.